To a small company a popular review post can be of enormous value. It's one of the reasons I am selective about who I support. I accept samples in good faith. I do not take lightly the decision to publish my thoughts and opinions. When working with brands, I endeavour to keep communication open and usually provide private feedback or ask questions before a blog post goes live. A few weeks ago I responded to a request for bloggers with eczema to review a balm. I knew the company and I had brought products from them in the past so I was more than happy to volunteer. As I sat down to write my review, I remembered I needed to query the ingredients label. I emailed and enquired if the lack of INCI (ingredient only stated in English) was an oversight or did I have outdated packaging (I had agreed to accept a sample that failed quality control). I also did not recall this problem when I purchased one of their other products. At the point where you get told "I thought getting a free sample would be beneficial to you, this has perhaps not being the case.” I am willing to throw in the towel. I would rather concentrate my time on brands that are not afraid of feedback be it good or bad. This company expects a review but I have been put in an awkward position. The frustrating part is the dilemma between supporting this company (as they do have good products) and fighting the nagging feeling that I can’t recommend a brand failing to meet regulations. Giving this company a recommendation is a disservice to all the brilliant brands I have work with who I know are diligent about regulations. The other sticking point is purely personal. I don't want to feel the wrath of an angry company because I have to be truthful in a review and they clearly disagree with me. I have gone there in the past and whilst my readers are hugely supportive and commend me for it, I'm the one that has to manage the furious emails. This experience has highlighted to me that there are major flaws in how the cosmetic regulations are managed and enforced. Can the fact that a company is small and laws are complex really be an excuse for getting this wrong? I do sympathise to an extent but with the internet at our finger tips we can unravel most things. All my knowledge comes from asking people in the industry, reading books and the internet. I also want to highlight that if a company can't get labelling correct what other elements of the regulations are they failing to comply with? Are they keeping batch records or registering their products with the CPNP? I feel the need to stress to other bloggers that cosmetic regulations are important. I’ve been informed that some don't care about lack of INCI. I understand where this derives from because English is easiest to understand, but the bottom line is regulations are in place for consumer safety. Consider this, you choose a product, you are happy it's suitable for your needs and then you mysteriously react to it. You just placed a huge amount of faith in that product because of the information provided on the packaging. INCI labelling, expiry dates and listing allergens protect the consumer and company alike. I want UK bloggers, especially those of you who use natural skincare, to be more aware of the whole picture when reviewing products. Natural and Organic skincare is on the rise, we want it to continue that way and in order to get it on the shelves of big stores, companies must get regulations right. Well done for posting this Sarah. It is so important that companies need to get legalities right, because it unfair on those that are actually complying with the law! I am really sad that they replied to your e-mails in the way that they did, it wasn't necessary. I agree with you that as bloggers we do need to look at the bigger picture when reviewing in order to give the correct information, it's hard but if we all start looking at things other than textures, scents and does it work, we'll get there soon & hopefully more natural/organic brands will be on the shelves! What a thoroughly well-written post Sarah. I really commend you for sticking to your principles about cosmetic regulations and you remind me of the importance of why more of us need to pay attention to this. I'm still fairly new to the reviewing scene and I think it's wonderful to have advocates like you in the green beauty community. I loved this post and your honesty is very refreshing. Scary these companies are out there. A good blog post. Thanks Liz. I'm certainly not perfect with ingredients, I've made mistakes. I'm pleased you think it was educational because that was the plan & also to illustrate to other people what goes through my mind when I'm working on my blog. I wanted to give an insight into my decisions. It would be good if the US/Canada had regulations similar to the UK as that does confuse matters. I hope in the future you can get some tighter controls over there. Thanks for bringing the need for label transparency into focus. We just went through the process of registering our products for sale in Europe and it is news to me that you do not need to provide a full INCI list of the ingredients on your labels! I wrote a post yesterday about our experience in Europe and how the consumer protections are so much better there than those in the US (http://www.mybeautymyskin.com/news/better-consumer-protection-for-skincare-products). INCI lists are part of it, but there is much more. From a brand point of view, transparency is the only way to go. You can fool some of the people some of the time, but eventually the truth will out. Who's got time to wait? Thanks for your comment and insight from a US viewpoint. I hope the company involved is reading and takes note for your feedback. FANTASTIC post Sarah! 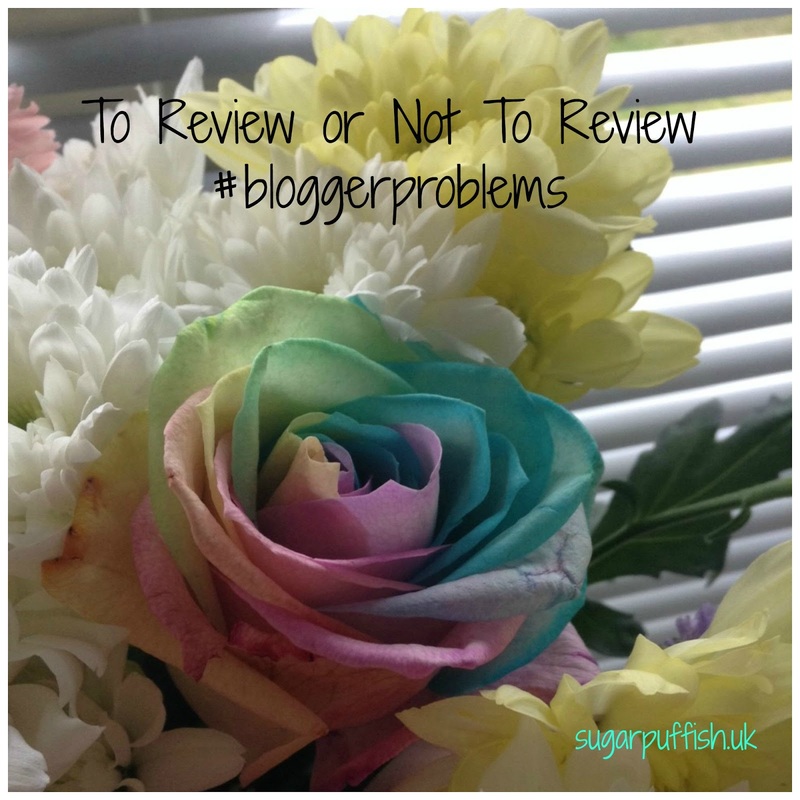 Brands are still not respecting bloggers as they should in my opinion. Quite often a blogger is just another number they can put on their spreadsheet to show how well they've done with the campaign. When you take them up on certain faults or errors they ALWAYS get really arsy because how dare you highlight something like that as blogger, especially when you've received free items?! I refuse to work with brands and PR companies like that. I have declined massive paying opportunities with big brands in the UK because of that. This brand you are referring to should be ashamed of themselves. If they want to treat you like that because of a legal and valid question, I say give them a taste of their own medicine and reveal their name! Excellent post Sarah! It's definitely a tricky situation and I think there is no purely right or wrong action on your end, just whatever is most comfortable for you. At the end of the day, when brands reach out tho bloggers they need to do their research too as to who would be suitable. If they had done so they would know your stance on the INCI labels and have decided not to send you product. Very insightful post. Being faced with a decision like thus can sometimes seem daunting. I wish that product regulations were more structured and given attention to. When brands decide to work with bloggers, we openly disclaim that all opinions will be honest and that we have expectations about what we are receiving. We want to support credible, quality brands that really put care into their products.